Too many people accept that they are tired and lacking in energy as a result of living busy lives. Without nutrients, your body is unable to function at its best. Additional nutritional support could be the only way you are able to get the nutrients your body needs in order to thrive from the inside out. 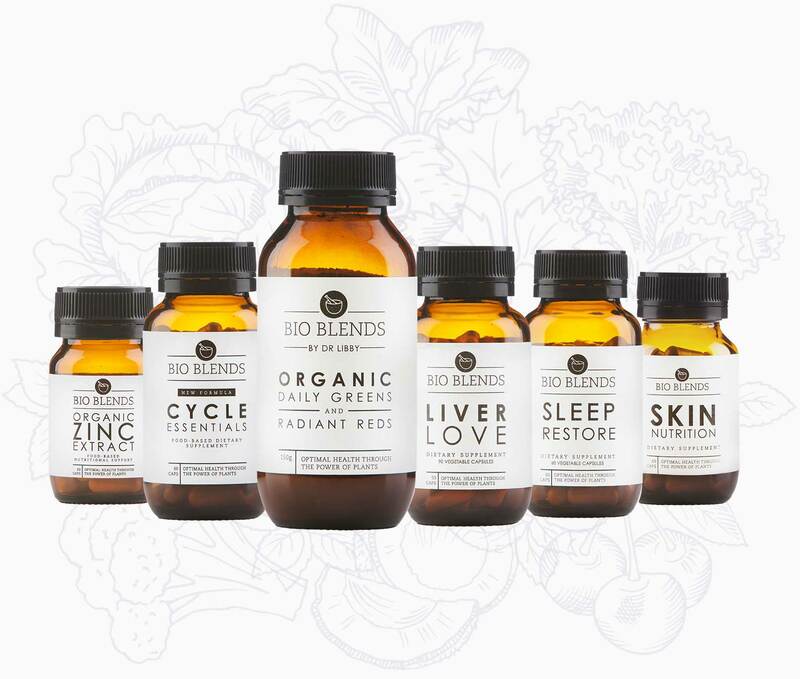 We have taken what nature has created, concentrated it in order to maximise the nutrient density of each carefully selected ingredient, to deliver products that will make a noticeable difference to your health and wellbeing. We believe in achieving optimal health through the power of plants. We understand that your body requires additional nutritional support to cope with your busy life. It is our hope that you are better able to enjoy the gift of life when you face each day with the renewed energy and sense of vitality that comes from taking our scientifically formulated products. Dr Libby Weaver (PhD) is one of Australasia’s leading nutritional biochemists, author and speaker. Dr Libby graduated from the University of Newcastle in Australia with a Bachelor of Health Science Nutrition and Dietetics with Honours, and a PhD in Biochemistry. She combines this knowledge with 18 years of clinical practice working with patients from all walks of life.